Snuz SnuzKot Cot Bed Skandi Collection is an all in one cot, cot bed and toddler bed that actually grows with your baby. The Skandi Collection is a modern and minimal collection in true Scandinavian style which fits the aesthetics of your nursery. Why should I buy the Snuz SnuzKot Cot Bed Skandi Collection? The Snuz SnuzKot Cot Bed Skandi Collection is an adaptable and practical all in one bed that is suitable from birth and will literally grow with your baby. 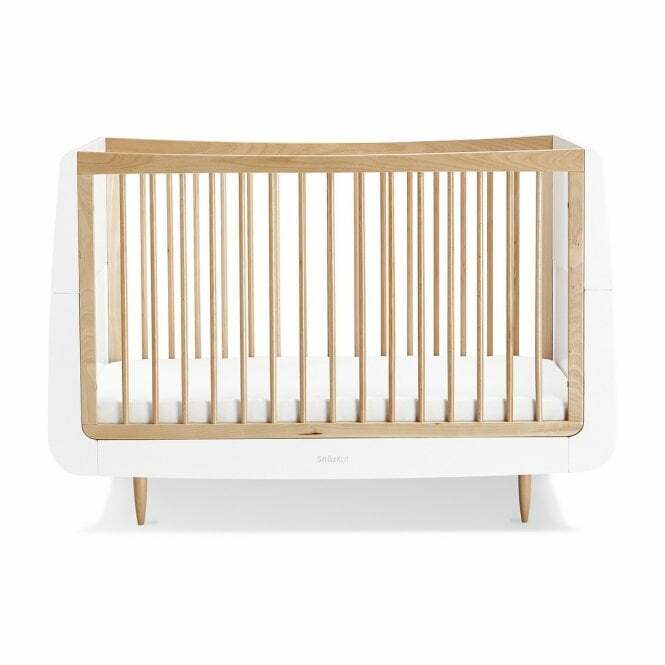 This cot bed will ensure your little one has a comfy nights sleep every night. 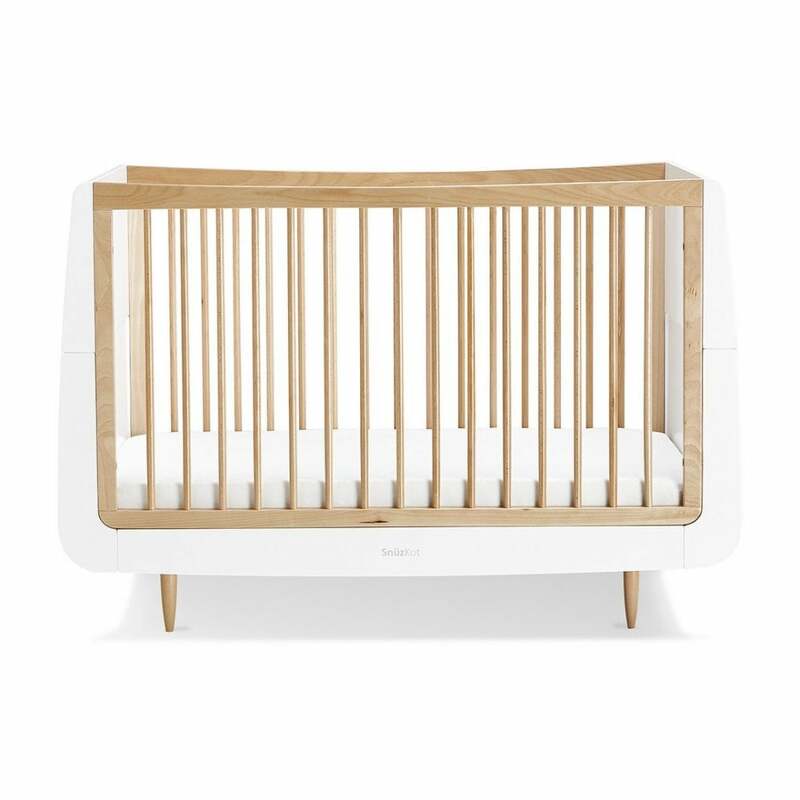 You can use the Snuz SnuzKot Cot Bed Skandi Collection in its cot mode from birth up to 18 months. From there simply convert into toddler bed mode making the SnuzKot suitable for up to 4 years. With the addition of the Junior Bed Extension Kit (sold separately) you can prolong the SnuzKot life all the way up until your child is 10 years old! No MDF or veneer is used and the mattress base has 3 adjustable height positions. This makes getting your baby in and out quick, easy and stress free. You can also use the lower positions for when your baby can sit up and stand unaided preventing them from climbing out of the SnuzKot unsupervised. What are the specifications of the Snuz SnuzKot Cot Bed Skandi Collection? Please note: Mattress, bedding and cushions shown are for illustration purposes only. These are not included. They are available to purchase separately. Do I get a warranty with the Snuz SnuzKot Cot Bed Skandi Collection? Yes, Snuz offer a 1 year manufacturers warranty with the Snuz SnuzKot Cot Bed Skandi Collection. This applies to UK Mainland only.